A Monday evening rally for Donald Trump in Las Vegas, Nevada, brought out the worst the usual supporters of the presidential hopeful. At least one Black Lives Matter protester was in attendance at this rally, and he was met with the usual warmth we’ve grown accustomed to at such events. As an added bonus this time, an audience member yelled, “Seig Heil!” as the protestor was being led out of the area. You can view the video of the event below. Listen very carefully and towards the end of the video—and after the bleeped out profanities—you should be able to hear the salute used by Adolf Hitler’s adoring fans. NBC News reports that shouts of “light the mother–— on fire” and “shoot him,” also filled the air. Meanwhile in Birmingham, Alabama, Mercutio Southall is scheduled to meet with police this week to ask that formal charges of assault be filed against the people who escorted him out of a Trump rally last month. 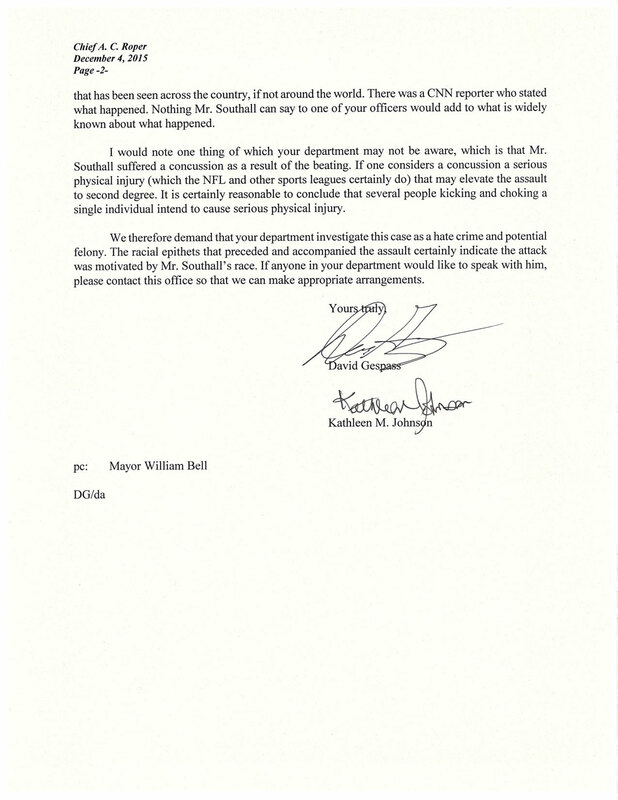 Southall alleges that he was choked, kicked, and called numerous racial slurs as he was being removed and police did not arrest his attackers, even though it was all caught on video. 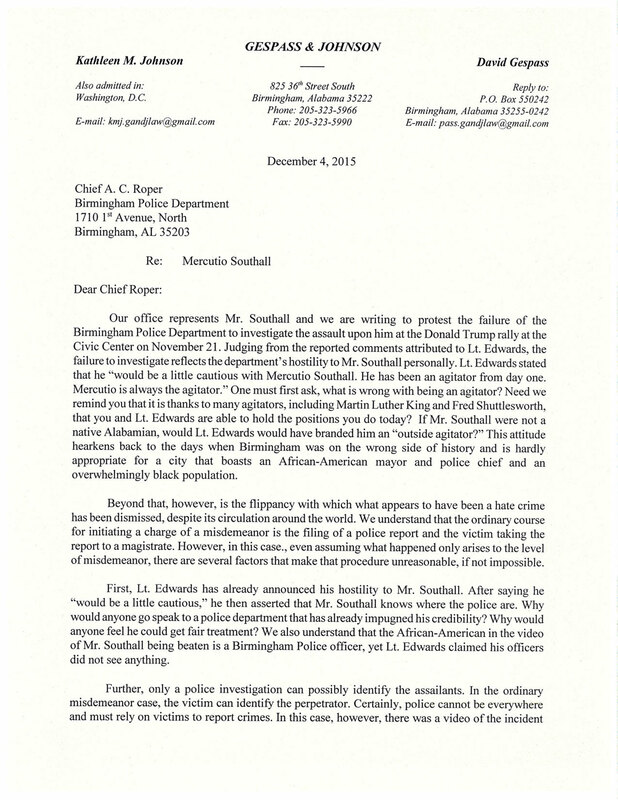 You can read a letter that Southall’s attorneys sent to the Birmingham Police Department, calling his assault a hate crime, here. The vitriolic hate, xenophobia and outright fascism exhibited by Trump and his supporters make it abundantly clear that more than just a vote for “the other candidate” is in order: Trump and all that he stands for must be rebuked, denounced and shunned in the name of decency and civilization.